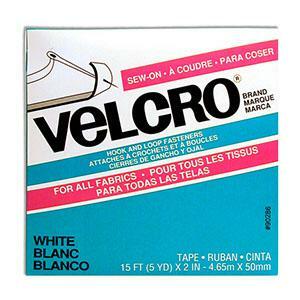 Use sewon VelcroR brand instead of buttons, snaps, or zippers. Sewon tape can also be attached with staples, tacks, or VelcroR brand adhesive V90065. Fastener can be washed or dry cleaned. Size: 2" x 15 ft reel. White.